Delta State governor Dr. Emmanuel Uduaghan has expressed shock and sadness over the death of the NLC Chairman of the state, Comrade Mike Akusu who passed away recently. Dr. Uduaghan who spoke at Delta State Labour House while signing the condolence register described the deceased as a resourceful unionist who stood firm and contributed immensely to the welfare of teachers. He regretted that people misunderstood the late NLC Chairman because of the feat he achieved especially the various welfare packages he garnered for his constituency. Emphasizing that it was difficult to understand the timing of his death, the governor said “this loss is a big one and it is difficult to say anything. Indeed he was clearly misunderstood and his death is painful”. Dr. Uduaghan said issues bordering on the welfare of teachers created a lot of jealousy and sentiment in the entire main stream of the teaching profession even as he explained that other states in the federation were envious of his achievements. 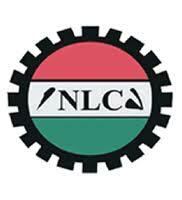 He therefore charged the NLC and NUT and indeed his immediate family to sustain his legacies especially what he stood for so that his philosophy and dreams would not vanish with his death. The governor who sympathized with the NLC over the death prayed God to give the Akusu family the fortitude to bear the loss. Responding the state acting Chairman of NLC Comrade Williams Akporiehe expressed gratitude to the governor for the visit and promised to continue to promote the legacies he left behind. Comrade Akporiehe regretted the untimely death of the deceased stressing that the late Akusu came, saw but could not conquer.